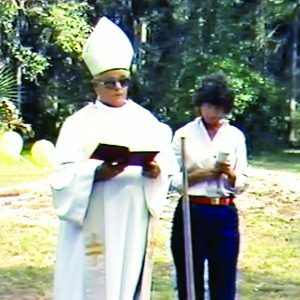 On Easter Monday, 1979, the Diocese of Southwest Florida signed the deed to purchase a 77-acre farm along an undisturbed area of the Manatee River. 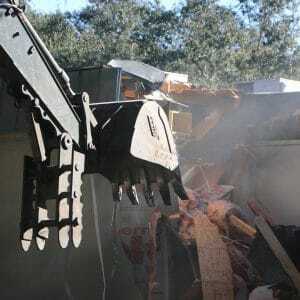 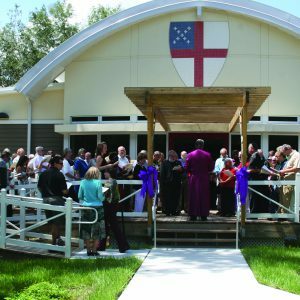 The dream for this waterfront site was to create a gathering place and spiritual home to the tens of thousands of Episcopalians in the Diocese of Southwest Florida which was then only ten years old. 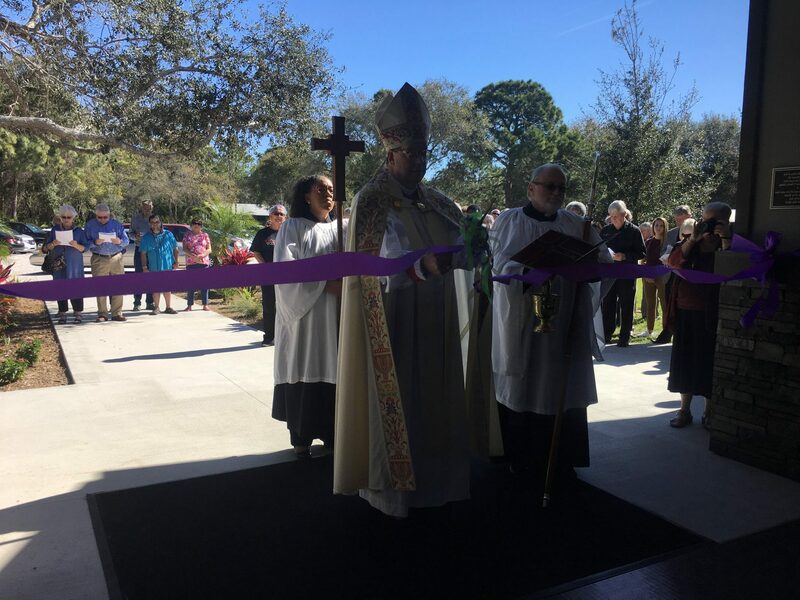 What was then referred to as a Diocesan Conference Center would be located in a strategic spot, close enough to parishes and the city, but pastoral enough so that it could be a true quiet retreat. 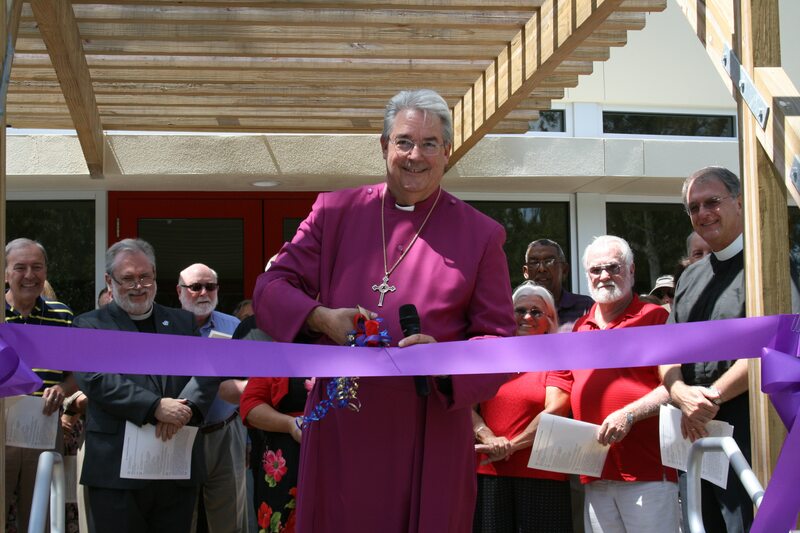 The Board of Managers of the center, along with its first Executive Director, The Rev. 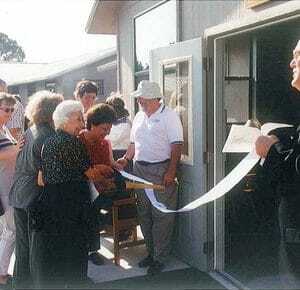 Ron Southerland, chose to name the facility DaySpring. 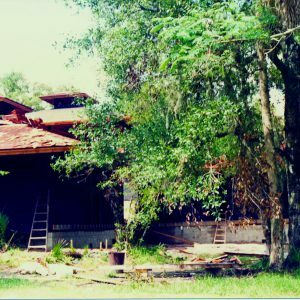 They took the name from Genesis I, believing that it would be a place for spiritual refreshment and renewal. 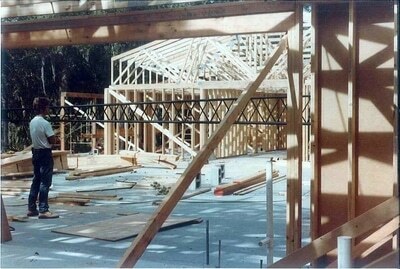 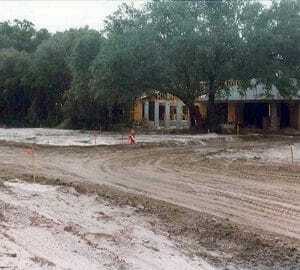 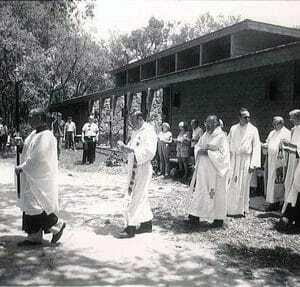 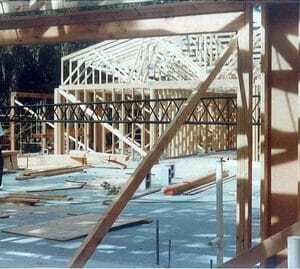 On Dec. 11, 1982, the Diocese broke ground for the first permanent building at DaySpring, what is now our Curry Hall. 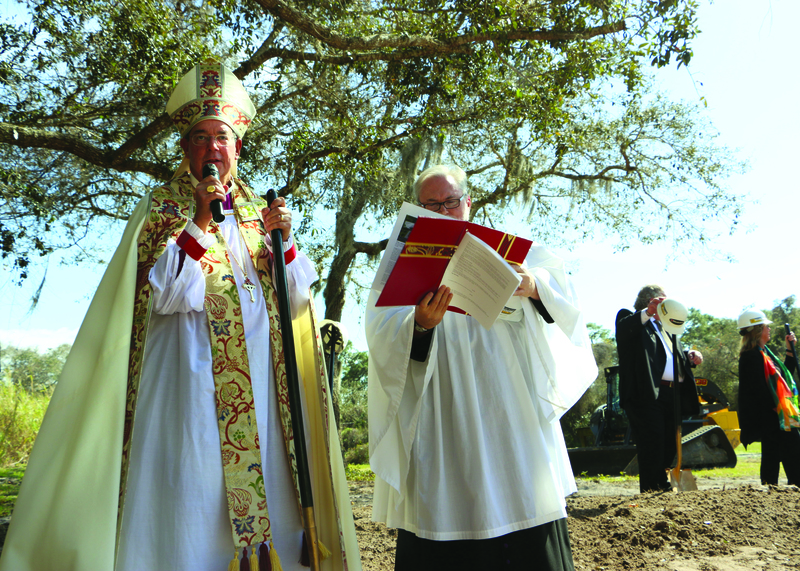 Monies to build DaySpring came from individual pledges and the Diocesan Venture in Mission Fund. 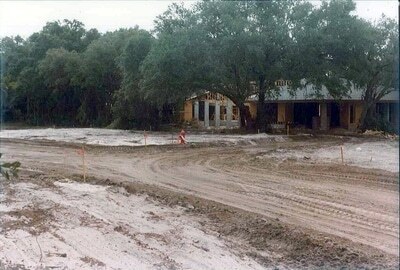 The center opened in 1983, with Curry Hall and six cottages in the original plan. 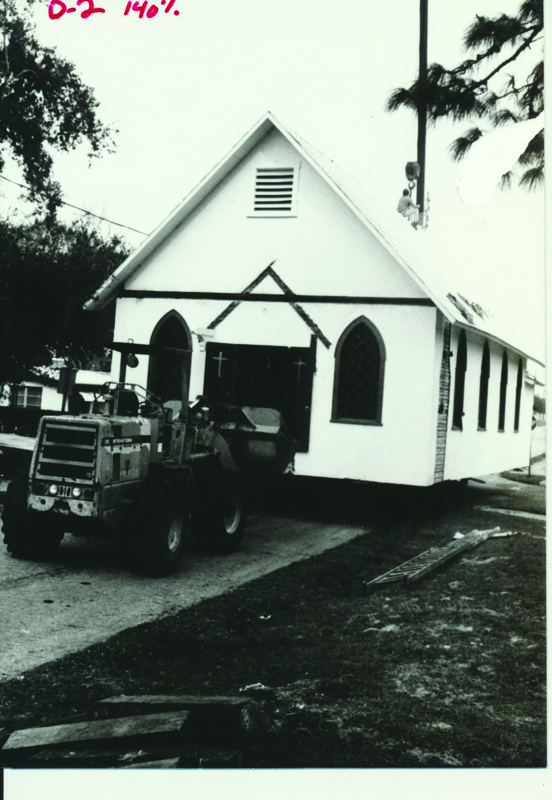 Funds for the first cottage, designed by architect Jerry N. Zoller, were given by the Church of The Redeemer. 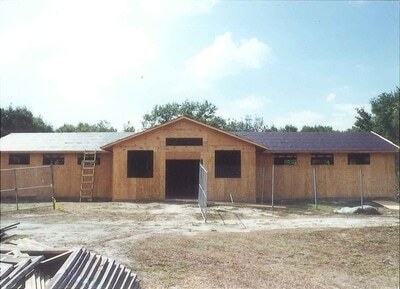 The main dining and conference hall, named Curry Hall, was named in honor of Mac and Chris Curry, whose fund made the construction possible. 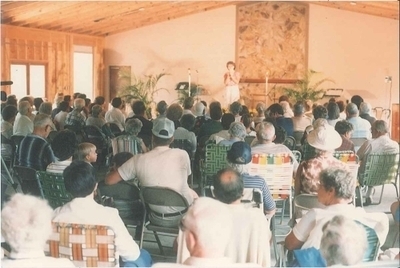 By 1986, additional meeting space was needed, and Pavilion A, which sits just west of the main complex, was dedicated. 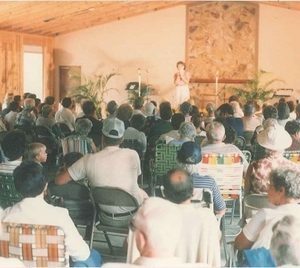 One missing element to DaySpring was a chapel. 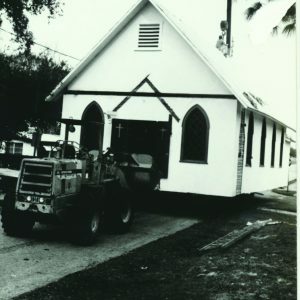 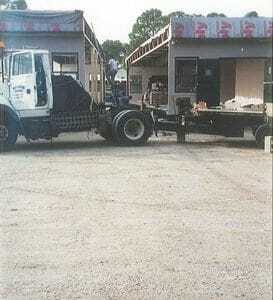 That was solved in 1988, with the moving of Safety Harbor’s Church of the Holy Spirit, built in 1914, to DaySpring. 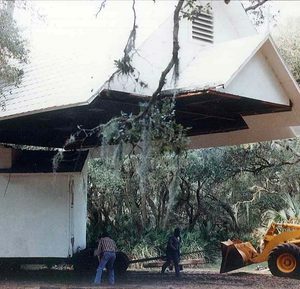 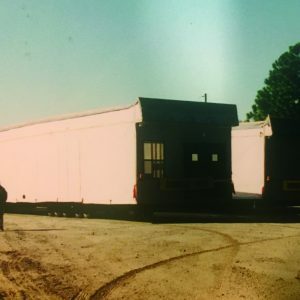 The building was transported to Dayspring in the middle of the night on January 20, 1988. 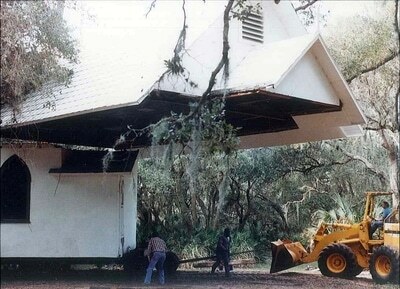 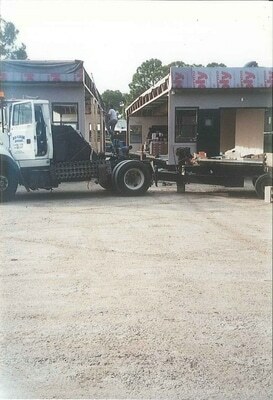 It had to be moved in two pieces to clear the bridges on the 70 mile trek. 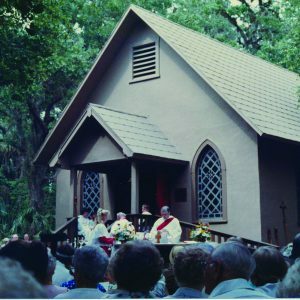 The building was rededicated as the St. Thomas Chapel was dedicated on June 12, 1988 in honor of Thomas Fluharty thanks to donations from across the diocese and the Fluharty family. 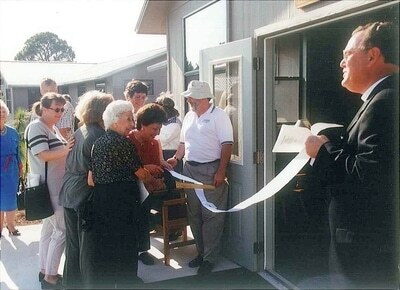 In 1990, additional meeting space and lodging was needed. 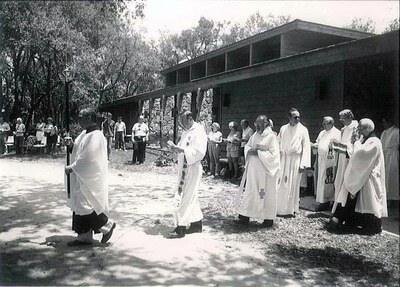 The Diocese built the Bishop Haynes Lodge, just adjacent to Curry Hall. 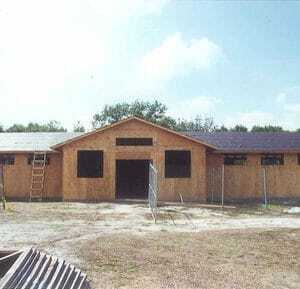 It is the home of the Bishop Haynes Meeting Room, Upper Room and dormitories. 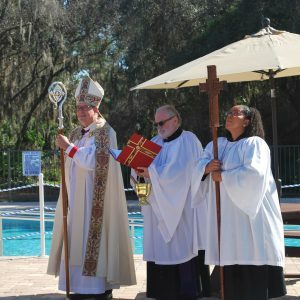 Today, DaySpring is not only a place of spiritual nourishment, it is a true retreat center and asset for all of Florida and indeed the Southeast, with ropes courses, canoeing, corporate training and retreat space. 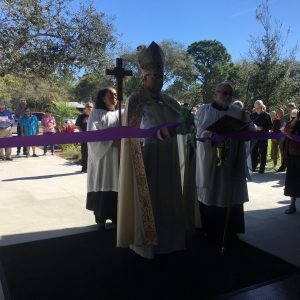 Through the years, the generous people of the Diocese have added their treasure to the dayspring property’s amenities including additional cabins, nature trails, a library, an outdoors course and, most recently, a canopy walk. 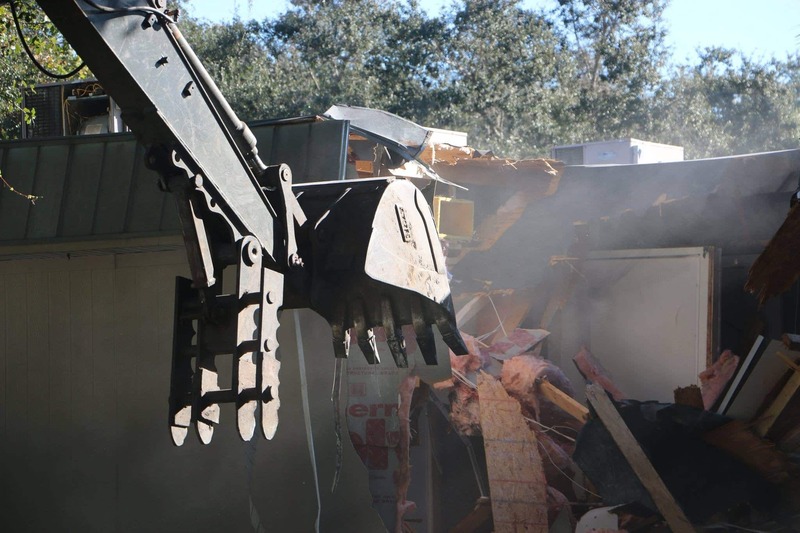 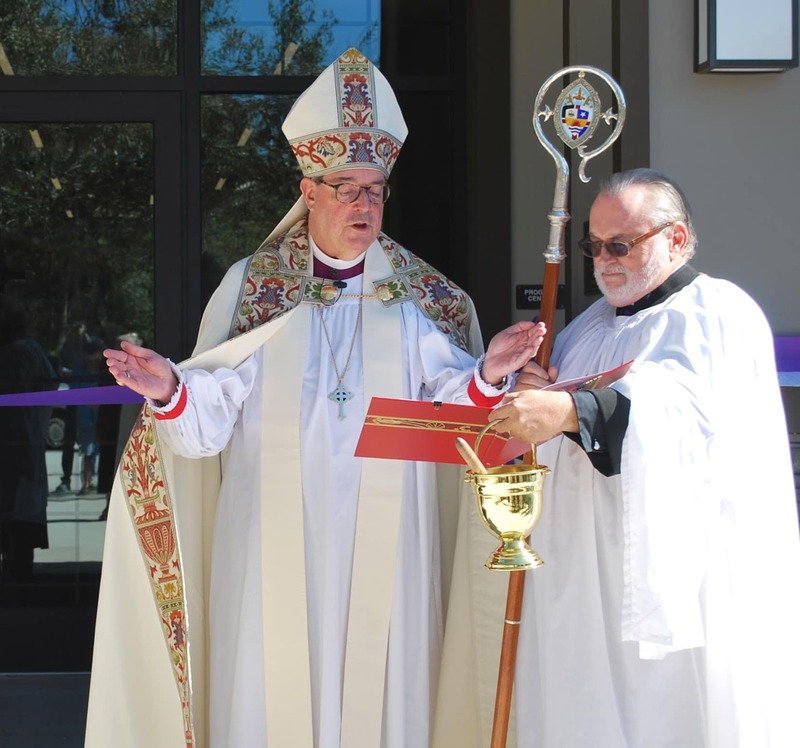 In 2010, dayspring took on a new role with the decision to build a new Diocesan House at DaySpring, putting the bishop’s office on the DaySpring campus, and ensuring that DaySpring would indeed be the physical center of diocesan life. 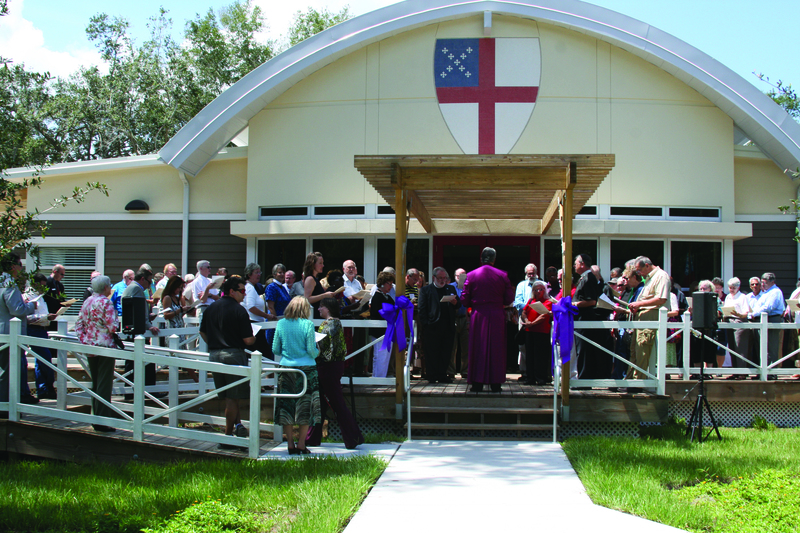 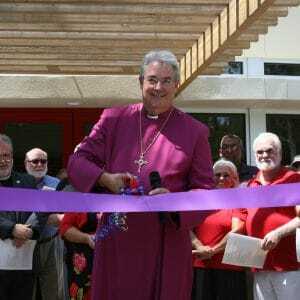 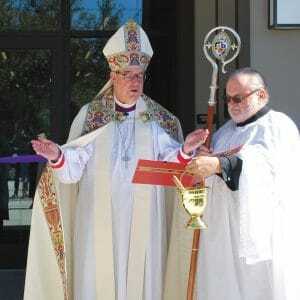 The new Diocesan House, dedicated on Wednesday, Sept. 12, 2012. 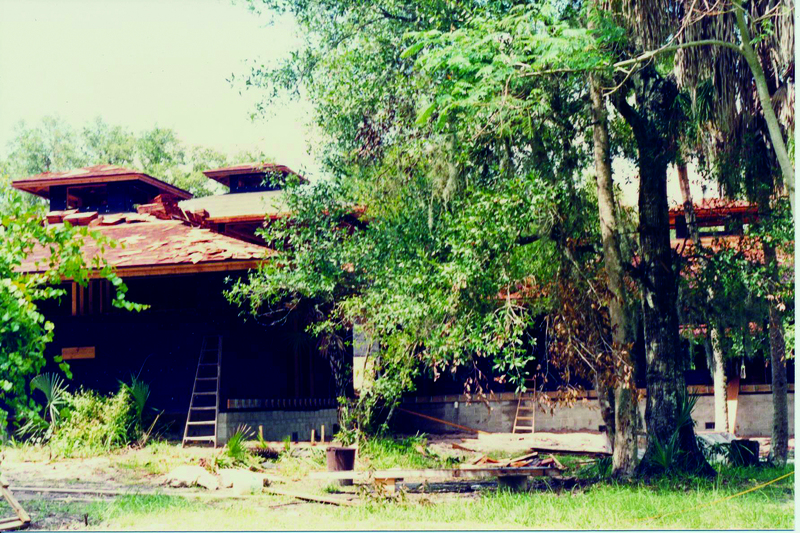 That year, the family of the late Chauncey Brown supported the expansion of the Chauncey Brown Memorial Library at DaySpring. 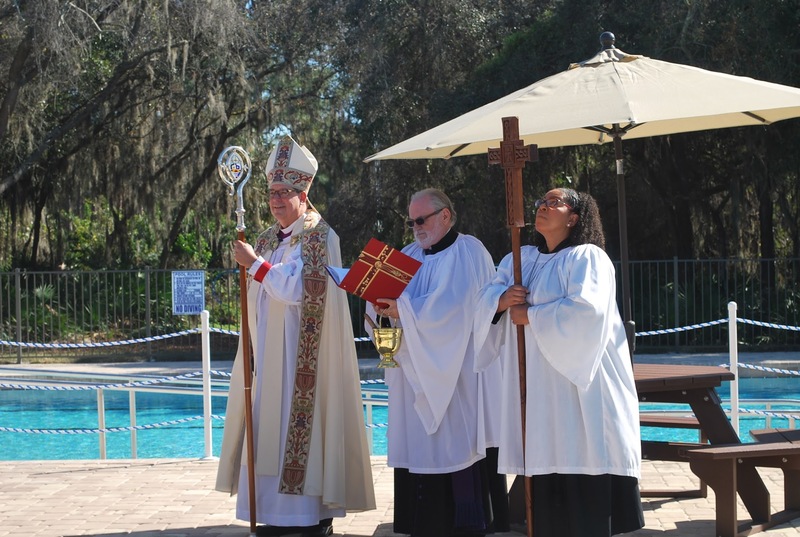 In 2014, the diocese created a revised master plan which included provisions for a new multi-purpose worship area and conference hall, a new pool area and the improvement of existing buildings. 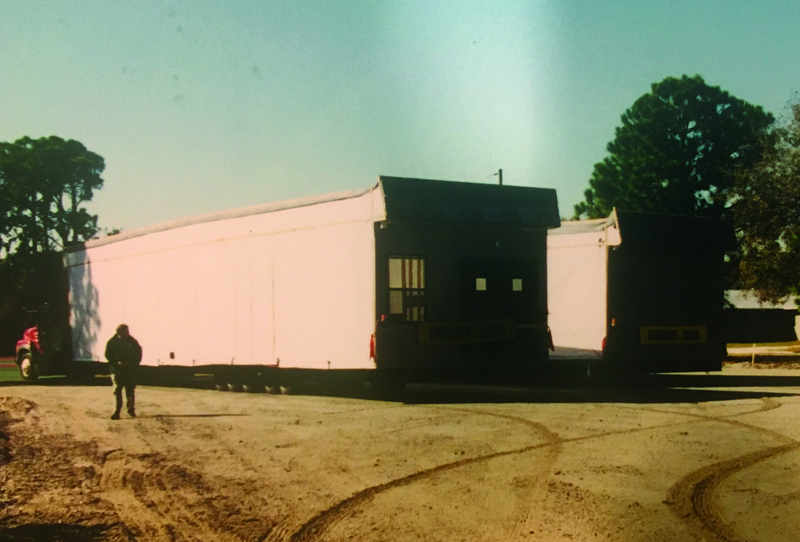 The plan, approved in 2015, allowed for the construction of a new Program Center and Pool, as well as the renovation of Pavilion A, another one of our large meeting rooms. 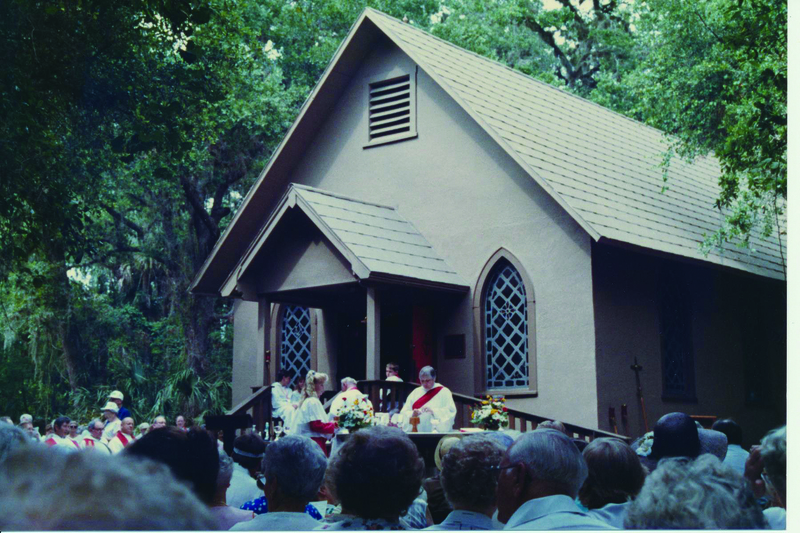 Below, the DaySpring Dedication on Dec. 11, 1982. 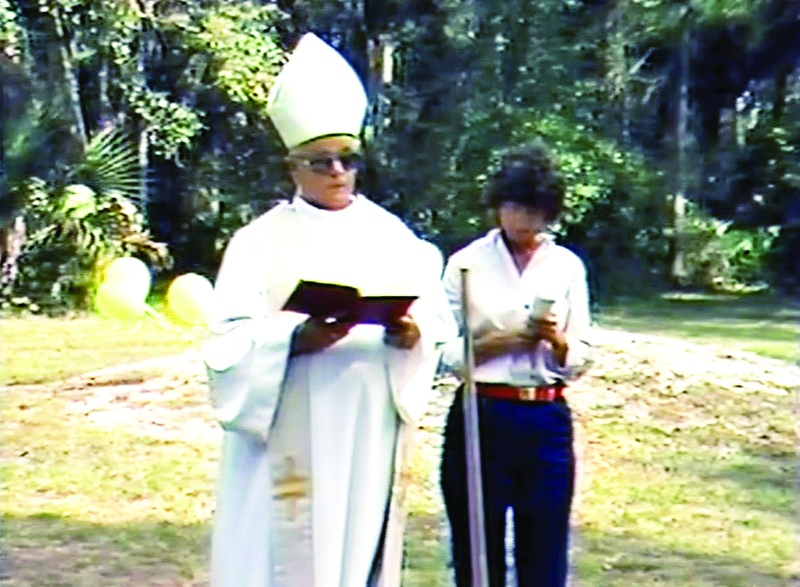 DaySpring Dedication, Dec. 11, 1982 from Episcopal Florida on Vimeo.